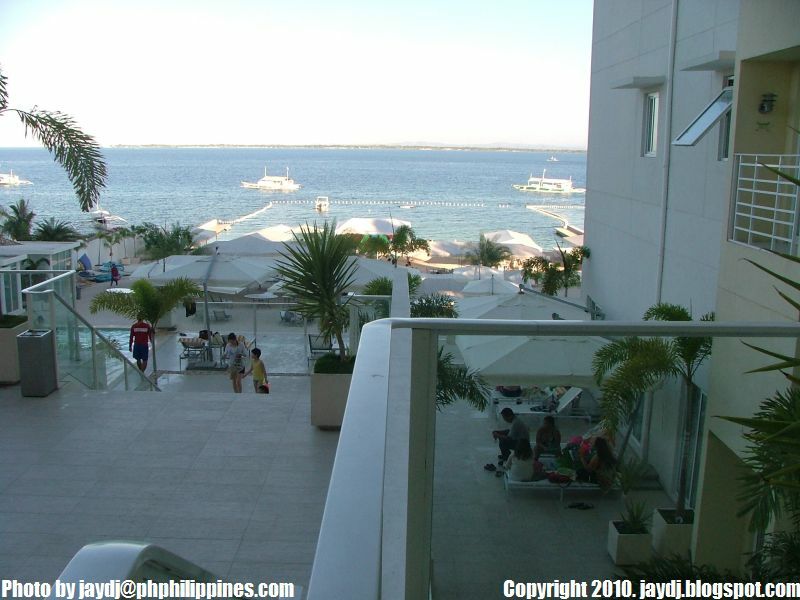 My family and I spent a summer vacation in Cebu last month and we didn't have much planned. What we were certain of was we wanted to go to the beach and eat lots of fruits and seafood. 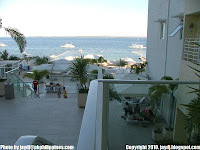 It's a good thing one of our online friends invited us to their resort, Be Resorts in Mactan Island, Cebu. 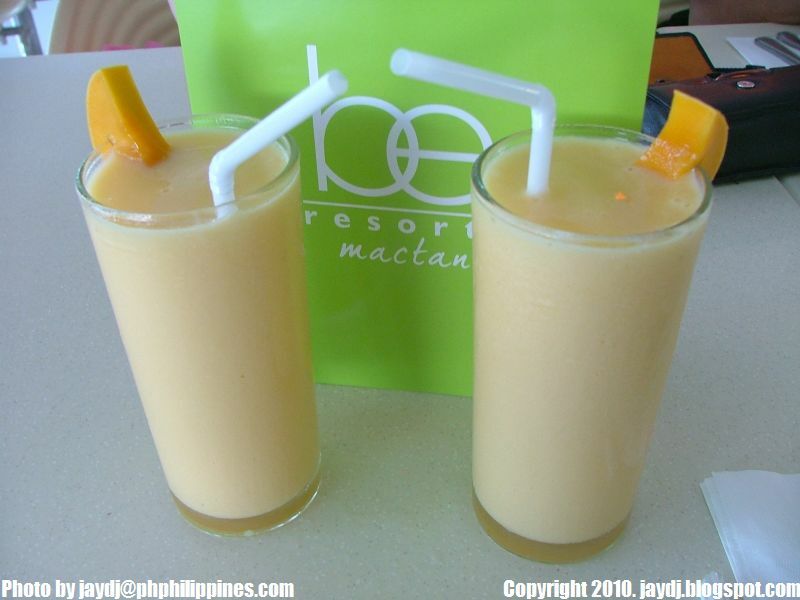 Be Resorts is located along Punta Engano road, past Shangri-la Hotel in Mactan, Cebu. 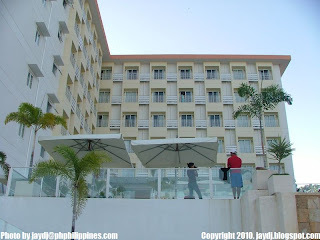 Be Resorts is relatively new, however people may be familiar with the location as it used to be Microtel Inn. We were picked up by their resort service and took around 30 minutes from Mandaue City to get there. When we got there, it was like an instant transformation from the busy streets to tranquility. For a minute, I forgot I was in the province of Cebu. It's a getaway without having to travel far away from the city. One of the first few things I noticed when we were there was the circle theme. Several pieces of furniture, lamps and wall designs all had something round. This wasn't limited to the lobby and restaurant as we were shown photos of the rooms which displayed a similar continuity of the theme. Going further past the lobby and restaurant is a viewing deck overlooking a swimming pool, jacuzzi, bar and the actual beachfront. All these elements bring about a great piece of scenery. Going down the deck reveals that the swimming pool has an indoor activity center adjacent to it. The room is filled with fun activities like a Wii video game console, drums, billiards, arcade games, computers and a day care center for the young toddlers. Just beside the reception area is a ceiling tall shelf of books for your reading pleasure. Past the swimming pools are a bunch of tents and a shaded bar nearby where could order food and drinks. On the other hand, the tents are excellent for enjoying a relaxing massage or simply enjoying a lazy afternoon in front of the beach. The ocean water at the beachfront is ideal for taking a dip and relaxing but if you're the more adventurous and sporty type, the resort offers aqua sports activities such as banana boat rides, kayak and boat rides, jetski and waverunners and scuba diving. You can also preschedule an island hopping adventure in advance and tour the nearby islets. Looking back from the beachfront, you can see the 2 adjacent buildings that serve as residence to this blissful resort. The rooms are nearby making it convenient to go to and from your room to the pool and beach. We went back to the viewing deck where we had an afternoon snack as a break from touring the facilities. We were delighted to discover that the foods were served in generously big proportions, which made our meal a delightful one. 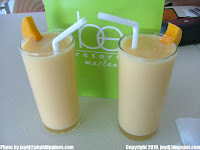 Their mango shake is really worth remembering. I wouldn't mind ordering that same drink each time I'd dine there. We did ask the general manager why is the resort called "Be Resorts". We thought it was an acronym for something. Contrary to our guess, it didn't stand for anything but they did point out that it is the state that they want their visitors to experience: "BE here, BE found, BE active, BE delighted, BE together, BE home." In that case, it's indeed a BElievable experience and I'd definitely want to BE back again. Be Resort really looks tempting. Hmmm. BE is for BEnedicto, the name or family name of the owner. We were also there this month and enjoyed every minute of our stay.